We’re VERY excited to share that Najwa Zebian’s second collection of poetry, The Nectar of Pain, will be available October 2, 2018! And we’re not the only one’s who are excited – it’s in Indigo’s Most Anticipated Books section and CBC Book’s list of 15 Canadian Collections of Poetry to Watch out for this Fall. 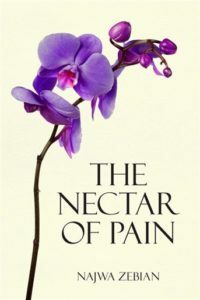 In her new book, Zebian – a Lebanese-Canadian poet and speaker, and the author of Mind Platter – explores her journey of turning pain into nectar.